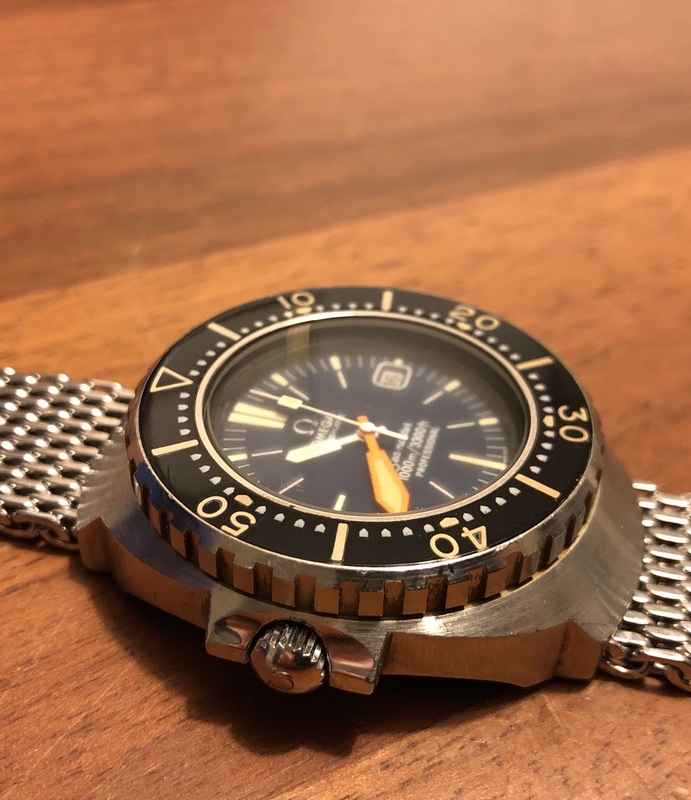 A little monster, this Seamaster. In the shadow of the PloProf but no less cool and attractive! 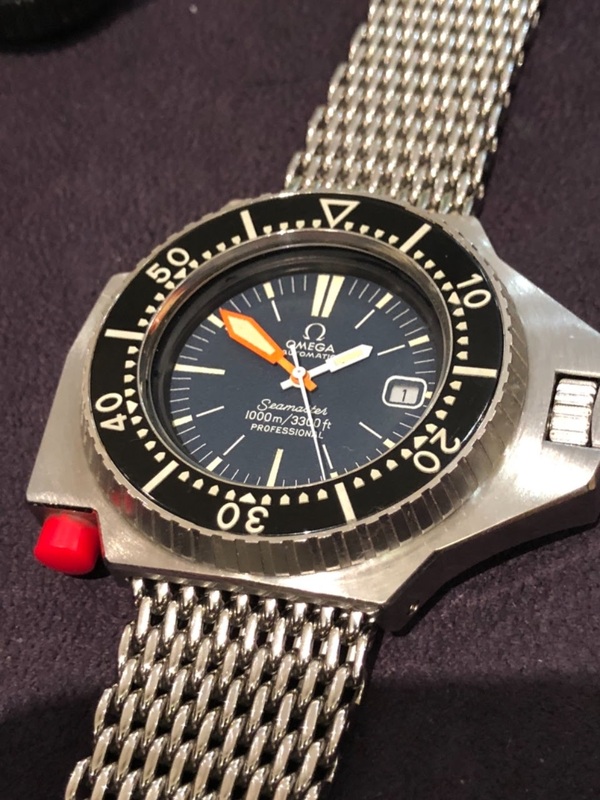 Apparently in the last years when sending your Ploprof 600 for service Omega would use the 1000m dial like yours in the Ploprof which means theyvare interchangeable. 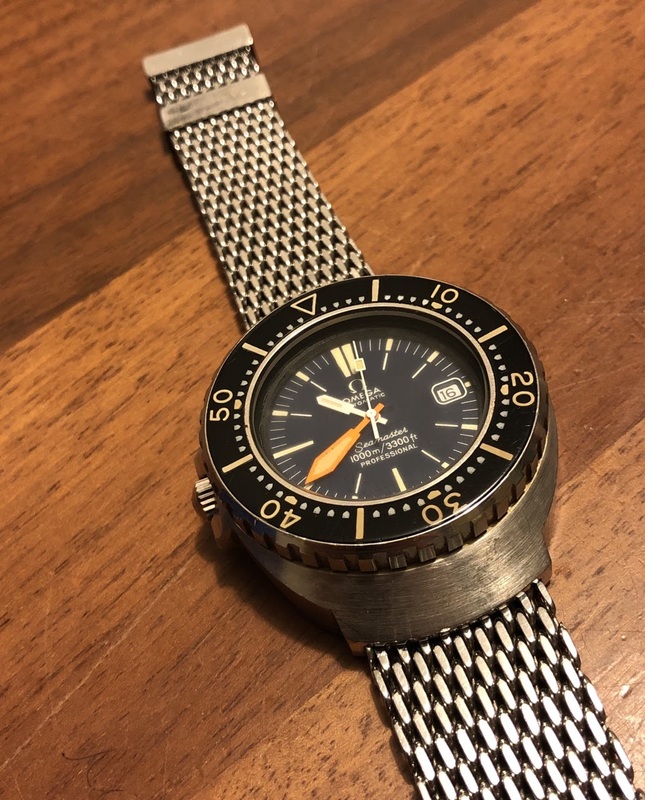 Ploprof 600m with factory replace 1000m dial. Unfortunately the watch maker installed updide down with the red pusher at 7 not 2. They say this is left configuration but it is not practical for the lefty yo turn the bezel with one hand even in this configuration.